Smart devices are playing great role in health management. But many developers do their efforts to contribute in many social activities. They love to launch apps which helps in many different ways. Even we have listed diet planner apps for android. They provide knowledge through their apps regarding health issues. From all those problem smoking is big issue globally. So their are many Quit Smoking apps which are related to this problem. List Of Best Android Quit Smoking Apps. 2. Quit Smoking Smokers Stop. 4. Smoke Free, Stop Smoking Help. 5. Quit Smoking Cessation Nation. 7. My Quit Smoking Coach. 8. Stop Quit Smoking Free. 10. Get Rich Or Die Smoking. 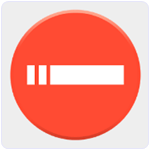 It is one of the popular android quit smoking app which has a rating of 4.1 out of five on Google Play store. It has a community of more than 2 million people which inspire us to quit smoking. 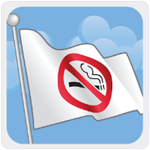 Now this App is available to hold our app hand from smoking and remember our effort to quit smoking. We can also evaluate our health improvements as per the World health Organization. Approximately 5 million users downloaded this app. 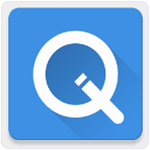 It is popular android app which has a rating of 4.5 on Google playstore. It uses scientific approach to keep us away from smoking. It is a light weight app with easy to use interface. we can easily set our personalize goal and also provides reminder to achieve our goals. It provides information about the the side effects of smoking and inspirational images. Approximately 1 million users downloaded this app. 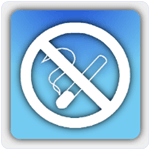 It is another best android app to quit Smoking which has a rating of 4.4 on Google play Store. It provides daily quit smoking quotes and motivational images. This app is compatible with android 3.2 or higher version. It provides information about the side effect of smoking. It provides carbon monoxide level on our blood after smoking cigarette. Approximately 0.5 Million users downloaded this App. 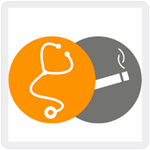 It is an awesome quit smoking android app which is available on Google play store for free which has a rating of 4.4 out of five. 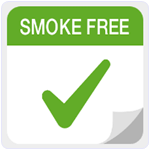 We can also see how long we remain smoke free. We can calculate how much money we save from quit smoking. We can also share our success on facebook with our friends. It require Android 4.0 or higher version. It follow a step by step process to quit smoking. Approximately 0.5 million to users downloaded this App. 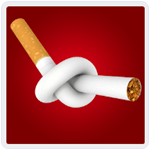 It is another best in all android quit smoking apps which inspire us to quit Smoking by providing information about its hazards and health effects. We can easily calculate the expenditures of smoking in a year and month etc. It provides awesome widgets for home Screen. It is a light weight Android app with awesome graphics and interface. Approximately 0.5 million users downloaded this app. This android app provides us opportunity to quit smoking. It follow a slow process to keep us away from the smoking. We can also make our plan to stop smoking. It can track our smoking habit and provides suggestion when we want to smoke. When we smoke a cigarette we have to touch the button on the app. After next time if the screen is red we can not smoke otherwise we can smoke on green screen indication. Approximately 0.5 million users downloaded this App. 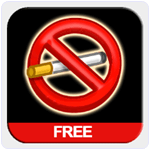 It is another best in list of android quit smoking apps which treat as our personal guide to keep us free from smoking. It provides a 30 day online program to quite smoking. It require Android 4.1 or higher version. We can easily set our goals and reminders to fulfill our goals. 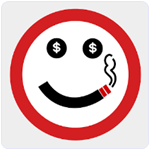 We can easily check our saved money, health status, cigarette not smoked. Approximately 0.5 million users downloaded this app. It is awesome among all android quit smoking apps which provides us a community where we can chat with other quitters and help each other. We can easily watch our saved time and money. It provides daily quite smoking quotes and tips. We can easily customize our app with background themes and profile picture. It is a light weight android app with awesome graphics and easy to use interface. Approximately 0.5 million users downloaded this app. 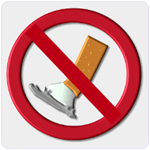 It is an android app which is designed to keep us free from smoking. It is totally ads free with easy to use android interface. We can easily customize it four different themes. It provides real time calculations of our saved money and not smoked cigarettes. This App provides four different size widgets for our home screen. It provides inspirational quotes and images. Approximately 0.5 million users downloaded this app. It is an another quit smoking android app which provides easy to use interface with attractive graphics which provides us community where we can talk with other quitters. It provides two widgets for our home screen to measure our progress. We can also track the positive effects on our health. It also provides social media support where we can share our achievements. Approximately 0.5 million users downloaded this app. These few best android quit smoking apps which do their efforts and provides all sufficient information to quit smoking.